I make my very own Samhain-on-the-spot, the veil between the worlds thins, and I converse with the dead, with the Otherworld, with the generations stored in my DNA and blood and bone. Perhaps you could call it racism in the best sense of the word — a celebration of all who have gone before me and who, by living, have delivered me to this moment of my own life, as I write these words. It doesn’t last, but it also endures forever. Samhuinn is remembering and honoring connection. One reason it looms so large in Pagan practice is simply that the essence of ritual is connection, and successful ritual means good relationships. On social media like Facebook, we think that we decide if we’re “in a relationship” or not. Westerners in particular like to imagine we’re free, among many other things free to choose. But many of our relationships that matter most aren’t matters of choice. Our existence itself, as a part of this universe of beings, is the first and greatest example. So the biggest “relationship” question often isn’t whether but how: how will I maintain good relationships — with myself, with other beings, with the planet? …we will recover our sense of wonder and our sense of the sacred only if we appreciate the universe beyond ourselves as a revelatory experience of that numinous presence whence all things came into being. Indeed, the universe is the primary sacred reality. We become sacred by our participation in this more sublime dimension of the world about us. The most profound insight in the history of humankind is that we should seek to live in accord with reality. Indeed, living in harmony with reality may be accepted as a formal definition of wisdom. If we live at odds with reality (foolishly), we will be doomed, but if we live in proper relationship with reality (wisely), we shall be saved. Humans everywhere, and at all times, have had at least a tacit understanding of this fundamental principle. I am an unabashed evidential mystic—a sacred realist, a Christian naturalist. Reality is my God and evidence is my scripture. Big History is my creation story and ecology is my theology. Integrity is my salvation and doing whatever I can to foster a just and healthy future for the full community of life is my mission. In Arthurian tradition, the Lady of the Lake gives Arthur his sword, affirming his right to kingship, and she receives it back again when, mortally injured after the battle of Camlann, he is borne away to Avalon to be healed. We can see the Lady as a exemplar of Sovereignty, right relationship to the cosmos. As a representative of the inward reality that lies behind our outward world, she initiates and instructs the king — metaphorically, the archetypal “royal line” in all of us. Demonstrating again and again through her actions that leader and land are one, she shows that psychic wholeness and healing can never be isolated or merely individual. We are communal beings. Hermits and recluses often report dreams filled with people, a compensation for their outward communal “drought”. The famous Grail question points to this same reality: “Who(m) does the Grail serve?” Not just the one who finds it or achieves it! The cheap and shallow English labels “winner” and “loser” simply do not apply. If we connect with our ancestors in the largest sense of the word, with our physical forebears and also with anyone who has helped us to reach who we presently are and may become, we may begin to see that even in spite of what may be our best efforts to live only for ourselves, we still end up contributing to the entire cosmos. Whether that contribution makes us worthy ancestors to those who will come after us is another matter, and our individual and communal charge. Interlude — a different preview of Edinburgh’s annual and marvelous Beltane Fire Society Samhuinn celebration. 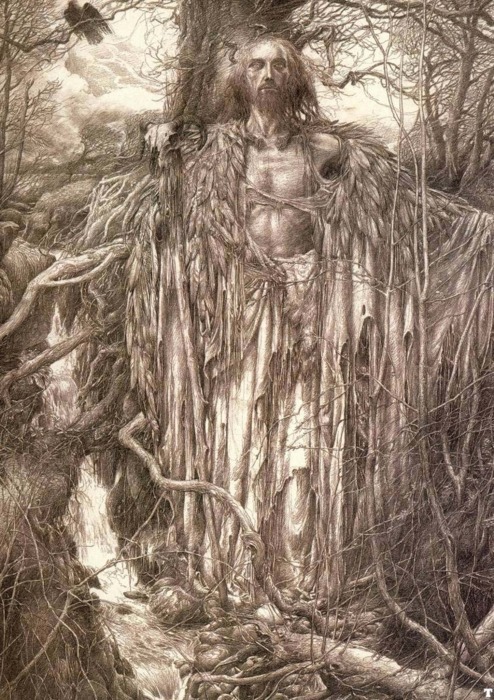 Samhuinn can provide us with a mirror to see ourselves as ancestors (don’t we all “see through a glass darkly”?). Here’s the link to the Beltane Fire Society’s Samhuinn 2017. Right relationship — the first ritual goal I will strive to keep in mind as I finish drafting my personal Samhain rite. This evening my wife and I will gather with another couple a few miles away. We’ve shared several of the “Great Eight” festivals before, sometimes with a formal ritual, at others with that most ancient ritual of all, friendship, food and fire. One partner of the couple often faces a difficult time at Samhain, due to her psychic awareness and to past bad experiences with the day. So for us sometimes the kindest ritual is not to celebrate Samhuinn in any formal sense at all, but simply to be present and grounded ourselves, and to help be grounding for her. A fire can help burn away negative energy, and making a practice of imaginally gathering and tossing into the fire any negative energy, to be consumed and returned to its elements for the cosmos to rebuild into healthy and balanced forms, is appropriate work. Doing it physically and unobtrusively can also be part of maintaining the fire. A blessed Samhuinn to you all. *Berry, Thomas. “The Wild and the Sacred,” in The Great Work. New York: Harmony/Bell Tower, 1999, pg. 49. **Rue, Loyal. Religion Is Not About God. Piscataway, NJ: Rutgers University Press, 2005, pg. 135. We commonly expect healing to arrive from the future — from a doctor’s prescription we’ll have in hand after an upcoming appointment, from an outpatient procedure in a clinic, from a series of therapy sessions or an interval of exercises. We don’t expect healing to lie in the past, waiting for us to recognize it. The historian-mythographer Geoffrey of Monmouth (1100-1155), whose glorious Historia Regum Britanniae (History of the Kings of Britain) blends history and legend almost seamlessly, is one primary source for the Arthurian legend. In the Eighth Book of this magnum opus, also gives us an early glimpse of legends about Stonehenge, supplying a foundation, however wobbly, for the idea that the stones originated in Ireland — or even further afield. The sight of the place where the dead lay made the king [Aurelius Ambrosius], who was of a compassionate temper, shed tears, and at last enter upon thoughts, what kind of monument to erect upon it. For he thought something ought to be done to perpetuate the memory of that piece of ground, which was honoured with the bodies of so many noble patriots, that died for their country [in the fighting against Hengist]. — Historia, Bk. 8, 10. Mysteries of this kind are not to be revealed but when there is the greatest necessity for it. If I should pretend to utter them for ostentation or diversion, the spirit that instructs me would be silent, and would leave me when I should have occasion for it. … [But] if you are desirous to honour the burying-place of these men with an everlasting monument, send for the Giant’s Dance, which is in Killare, a mountain in Ireland. For there is a structure of stones there, which none of this age could raise, without a profound knowledge of the mechanical arts. They are stones of a vast magnitude and wonderful quality; and if they can be placed here, as they are there, round this spot of ground, they will stand forever. They are mystical stones, and of a medicinal virtue. The giants of old brought them from the farthest coast of Africa, and placed them in Ireland, while they inhabited that country. Their design in this was to make baths in them, when they should be taken with any illness. For their method was to wash the stones, and put their sick into the water, which infallibly cured them. With the like success they cured wounds also, adding only the application of some herbs. There is not a stone there which has not some healing virtue. — Historia, Bk. 8, 11. We seek for future cures, while the Merlins of our spiritual history attempt to alert us to sources of healing all around us. There is not a stone there which has not some healing virtue. How many healings casually happen to me all the time? A scratch scabs over and even the mark fades with time. A cold passes and I recover, the hacking cough subsiding to a tickle and then to nothing. The purging of food poisoning wracks me and wrings me out, but my temperature control eventually leaves fevers and chills behind, I regain my appetite, and the memory of the nausea and dizziness and malaise slowly withdraws. If we want the marvelous, the cause and occasion must match the healing outcome. The ordinary will not do: Mysteries of this kind are not to be revealed but when there is the greatest necessity for it. It’s significant that the stones do not remain in Ireland. While giants placed them there for their own purposes, it takes human agency to bring them to their final location. Almost as if they had been waiting all along for human awareness to catch up to them, to finish their journey. I don’t need to disdain modern medicine to avail myself of ancient healing. We do need the latter. Modern medicine often does an excellent job alleviating symptoms, but leaves the deeper roots of the problem untouched, often because invisible, underground. The taproot of an illness or other problem may nourish itself in causes invisible to a materialist eye. I may continue to feed its source even as I claim to long for healing. Why else is it, in our modern and supposedly healthier age, that so many Americans — more than ever before — rely on prescriptions (link to Harvard University studies) against anxiety, depression, insomnia, and so on? The stats have made headlines, but no one wants to address the root cause, because it’s sunk in the rich darkness of our cultural blindspots. I add to my practice a henge-meditation. We needn’t bother ourselves to make any such claim as “Druids built Stonehenge” to make use of the spiritual dynamic it offers as a source of healing. Merlin sets the precedent: Stonehenge-as-symbol, in Geoffrey’s telling is older than its present home in southern England anyway. Not its origin but its power is what we need. 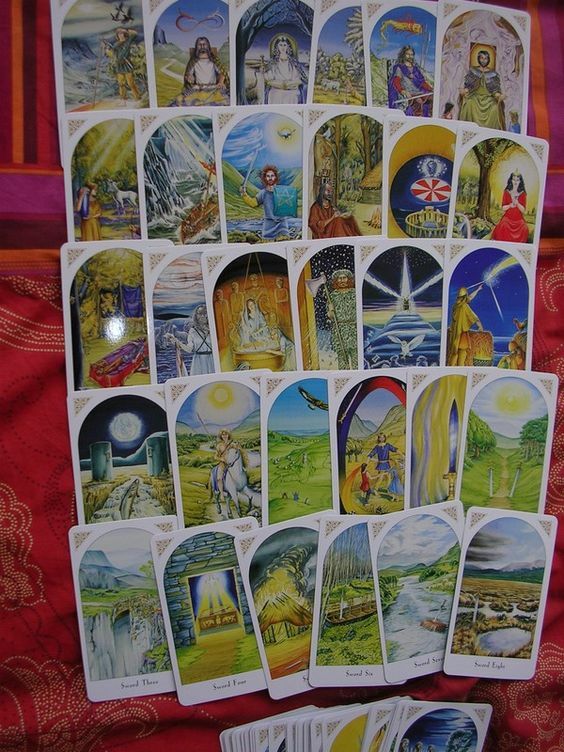 Magic thrives when our intent makes the occasion a necessity: our focus is single and sharp not from force of will but from desire, emotion, need, want, hope, imagination, planning and preparation, ritual foundation, and love. If I don’t move the stones here, their virtue can’t find me. Inner work is just as necessary as finding the right doctor, the proper regimen, the appropriate treatment. Curious that the words of Jesus fit here so well: “The stone which the builders reject has become the cornerstone”. There is not a stone there which has not some healing virtue. Image: Geoffrey of Monmouth; Merlin. The Welsh proverb A gwir yn erbyn a byd — “the truth against the world” — hasn’t lost any of its force. It still offers a challenge, read one way; and a simple statement about the nature of things, read another. Or maybe they’re the same thing. 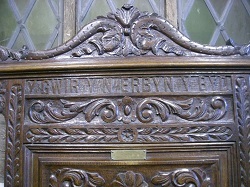 The words appear on a chair in the Welsh parliament house in Machynlleth. The chair itself is fairly recent, the words traceable at least to Iolo Morganwg and the first Gorsedd of the Bards in the 1790s. This relatively modern chair may serve us as an apt stand-in for the Siege Perilous, the “Perilous Seat” of Arthurian lore. In the old story as Malory retells it in his Morte D’Arthur,” He shall be born that shall sit there in that siege perilous, and he shall win the Sangreal.” Looking beyond pronoun gender, if you have no truth in you that you will maintain in spite of the world’s ways, don’t even think about sitting there. Better than the Hogwarts Sorting Hat, the Chair puts you where you deserve, weeding out the unworthy with death. What truth, you ask? In each moment I can assert the possibility of spiritual integrity in each person I meet, while striving to manifest it first in myself. I can’t wait for the other guy. “You first”? If we all do that, who will ever grow? We see around us the eyes of the spiritually dead. (Some days we join them.) The sad conclusions they’ve come to, in the face of suffering and setbacks, have no life in them. They’ve bowed out and accepted a living death. 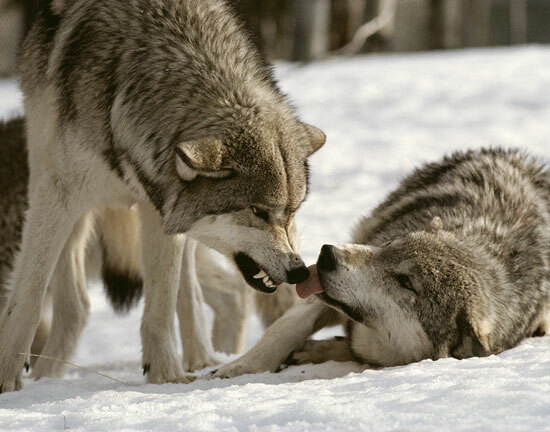 They (we) are the wounded kings and queens of our present-day Wasteland. In times like this, spiritual integrity can mean living with intention, living counter to the prevailing mood of pessimism and despair. But more importantly, counter to living without any intention at all. You know, the home-from-work, plop down in front of the TV or computer and insta-drug. Waiting to be entertained (is that so bad? ), to be led, to be fed, to be used for another’s purposes because we have none of our own. Well, maybe it is so bad. So I nip in, trailing some accidental courage, and I lay bait for truth, only half-conscious of what I’m doing. Some days that’s the only way I end up getting any. “Gonna get some” has prodigiously awful overtones these days, but I’ll apply it to truth instead. And having baited the truth, maybe even bravely, for a moment or two, my boldness gives out and I turn tail, racing back to my hole and waiting for events. For a change. For something to happen. Almost (I whisper it) anything but this. Well, that decides it, then. No work can be, I mutter to myself. We’ve witnessed the efforts towards peace and justice, how each must be founded on the other. Hard work. 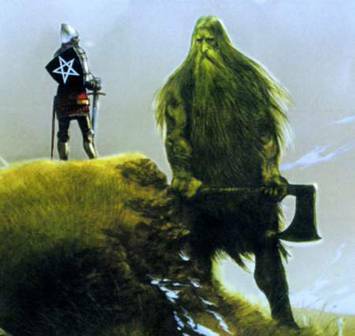 The Welsh ritual asks “A oes heddwch?” Is there peace? The ritual answer is yes. Ritual can after all prefigure reality, open a door to its happening. It IS reality, on another plane, one we may wish to echo and emulate here. Or is peace a possession solely of some Otherworld, never to make its way here? Always a grail that’s over there, not here? “Grail on a shelf.” Good luck with that, shouts a chorus of wannabe truth-speakers. The Galilean Master said to his devotees, “Peace I leave with you; my peace I give you. I do not give to you as the world gives. Do not let your hearts be troubled, and do not be afraid.” Following the example of the Wise of many lands, we too can learn to give, and not as the world gives, but as our inner truth leads us. Peace within us doesn’t preclude needful action. It does lay the ground for clarity and compassion out of which all true transformation grows. And for me that’s a foundational truth I’ve had to learn the hard way. Many others would like to change me to fit their views of the world. The harder and more worthwhile challenge is to change myself to fit my view of the world. If I can’t manage to do that, why expect anyone else to? Or turning it outward, ask me to change in your way only when you can show me you’ve changed. Otherwise, I have my own changes to work on. That cuts down mightily on truths in conflict. And it keeps us all busy failing our way to success, says my inner cynic. Y gwir yn erbyn y byd, a oes heddwch? The truth against the world, is there peace? Calon wrth galon, a oes heddwch? Heart to heart, is there peace? Gwaedd uwch adwaedd, a oes heddwch? Shout above responding shout, is there peace? One good example outweighs a lot of words. (Some questions need to be asked, some answers given, three times so we can hear them.) But once we have the example, then the words draw energy from it, and carry some of that truth that runs “against the world” and toward spiritual integrity and harmony. Words are empty only when hearts are. Full heart, full words.